Desirable and Historic Spencer Ave. Manor home built in 1808 and moved to this site around 1900 from Main Street. The Floorpan offers flexibility and most of the historic features are intact. This is a project house. Many system updates were done in the 1980âs. This home sits on over 1 acre with dramatic stone walls, half circle portico in need of restoration, a carriage house, and 4 levels of living that includes a fabulous walkout lower level man cave. Needs kitchen, bath, cosmetic and structural updates. Features 7 working fireplaces, all hardwoods,pine and period floors.Much of the masonry was redone in the 1990âs. Partial water views from the 2nd and third floors. Seller will sell "as is" or work with a buyer to restore to the new owners taste and budget. 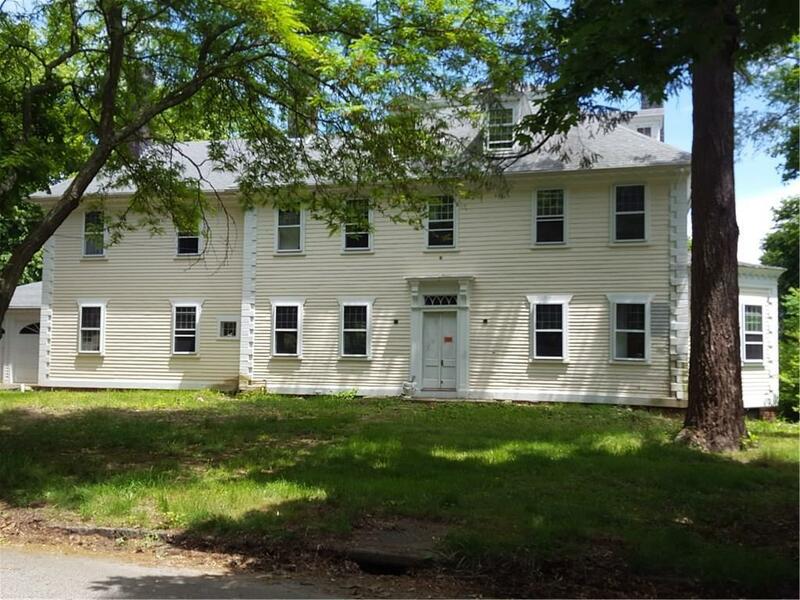 Own a piece of History on one of Rhode Island most desired Streets.